Groke also specialized in manufacturing high-quality copper entry doors. We build unique entry doors with copper overlay panels on the outside and elegant wood on the inside. The actual door is still build with our high insulated aluminum profiles offering our premium door features. The copper and wood panel models are assembled to meet individual requirements. 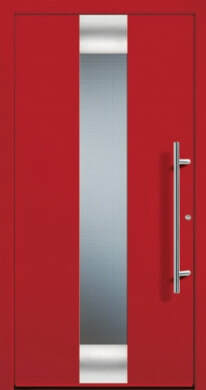 Groke also offers modern double entry doors. Each door model from the modern entry door catalog can be build as a double door. Contact us for more information about our double entry door selection. ​These are the two main reasons why Groke uses only powder coat finishes for its aluminum entry doors. 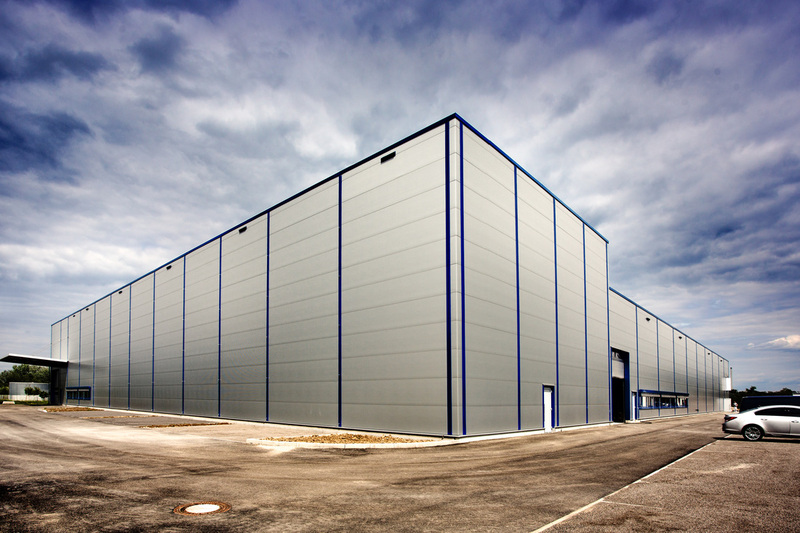 Performance: Powder coated products are more resistant to chipping, scratching, UV rays, and corrosive elements. This process uses a dry powder of polymer resins, pigments, leveling agents, and other additives that is ground into a uniform powder similar to baking flour. Electrostatic spray deposition (ESD) is used to apply the powder coating to the metal product. A spray gun with an electrostatic charge is used to apply the powder particles which are attracted to the grounded metal. After application of the powder the material enters a curing oven where with the addition of heat the coating chemically reacts and forms a “skin” on the material. This thermal bonding allows for a more uniform coverage no matter whether you have a horizontal or vertical surface. The powder coat bonding is much thicker than standard wet paint, which is generally no more the .5 to 1 mil in thickness (a mil is one one-thousandths of an inch). Powder coat finishes range from 2 mil to 10 mil in thickness. Safety and Sustainability: Because the powder coating process does not require a liquid carrier (solvent) like liquid coatings this system emits near zero volatile organic compounds (VOCs). This means powder coating is environmentally friendly since no VOCs are released into the air. Moreover, powder coating is a clean process because powder overspray can be retrieved and reused. Unused powder can be reclaimed and returned to the hopper for recirculation through the system, with negligible waste. Plus most powder coat materials are considered non-hazardous material and landfill safe. Powder coating meets all Environmental Protection Agency (EPA) requirements for air and water pollution control. 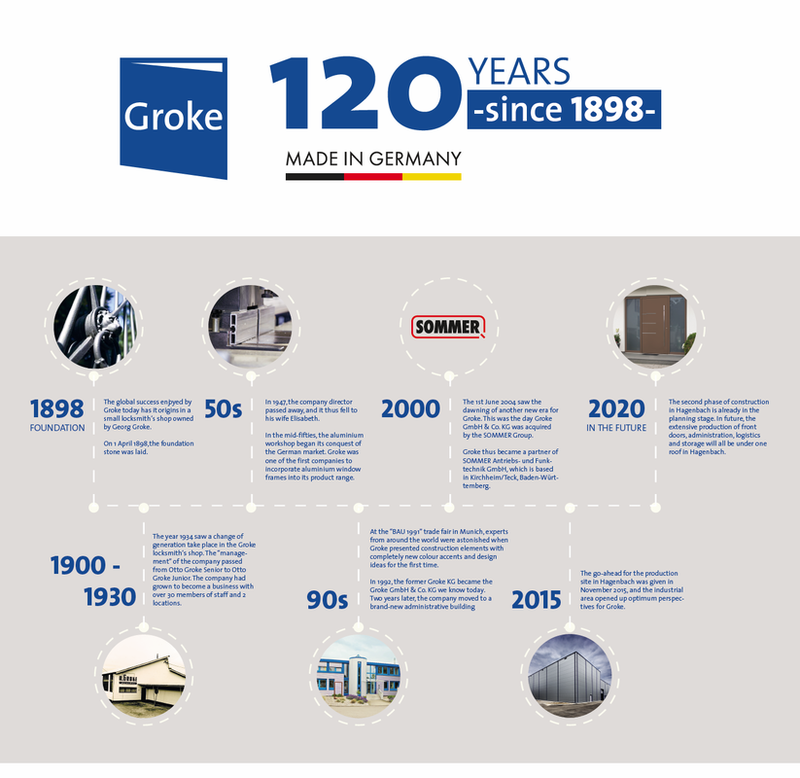 Happy Birthday, Groke 120 Years old and more active than ever before! 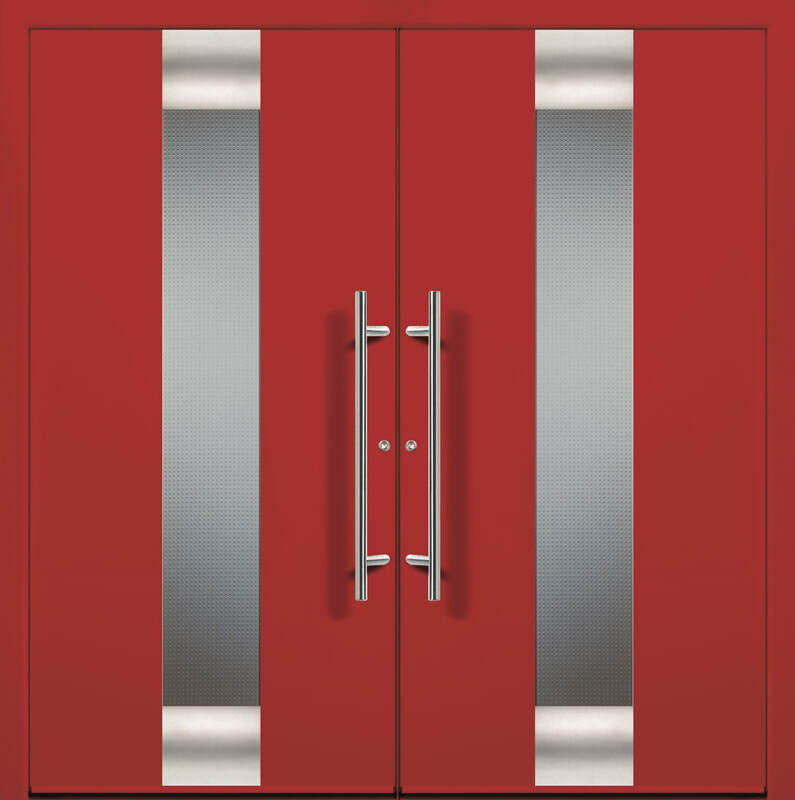 Choose among 24 Aluminum Designer Doors with door slab covered on both sides (Premium) or with Infill Panel (Standard) in 7 fashionable colors. BAU is the World's Leading Trade Fair for Architecture, Materials and Systems. It is a gathering for everyone involved in planning, building and designing buildings, i.e. architects, investors, industry and trade representatives, building tradesmen, etc.—in an international context. The SOMMER group will be presenting its latest garage door operator technologies and the newest inovations for the Groke aluminum entry doors. Come and visit us at booth#139 in hall B3. ​On all Groke entry doors a multi-point locking system is used to secure the door along the full edge of the door. A hook type lock is used at the top and bottom while the door strike and deadbolt secures the center area of the system. Groke also uses two stainless steel bolt locks on the hinge side of the door to prevent anyone from leveraging the door off of the European style pin hinges. These bolt locks working in concert with the hinges that are rated at 350 lbs. of force per hinge provides total coverage around the full perimeter of the door. The frame of your door system can jeopardize the security of your home as well. Most door frames are constructed of wood and in some cases provide less than 1” of thickness. If there is no reinforcement where the locks go through the wood frame one kick can allow access to the home. 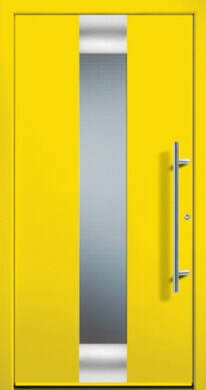 Groke doors are manufactured using only multi-chambered aluminum extrusions to create the door and frame. ​The 3mm wall thickness of this aluminum frame design provides strength for the multi-point locking system while also giving the overall door system stability and total resistance to most all types of abuse. When considering the overall security of your home, it is helpful to understand that your entry door is no better than its weakest point. ​...and may there be peace on earth for all.